© Ken Howard for Santa Fe Opera, 2005. Ainadamar tells the story of playwright Federico García Lorca and his producer and muse, Catalan actress Margarita Xirgu, including Lorca’s murder by the Falange. The male Lorca is played by a woman as a “trousers role,” adding another dimension to the exploration of sexuality and gender. Ainadamar premiered at Tanglewood Music Center in 2003, directed by Chay Yew. A revised version was later presented at the Santa Fe Opera in 2005, directed by Peter Sellars, and has been performed extensively throughout the world. Its recording on Deutsche Grammophone won two 2006 Grammy Awards, for Best Opera Recording and Best Classical Contemporary Composition. 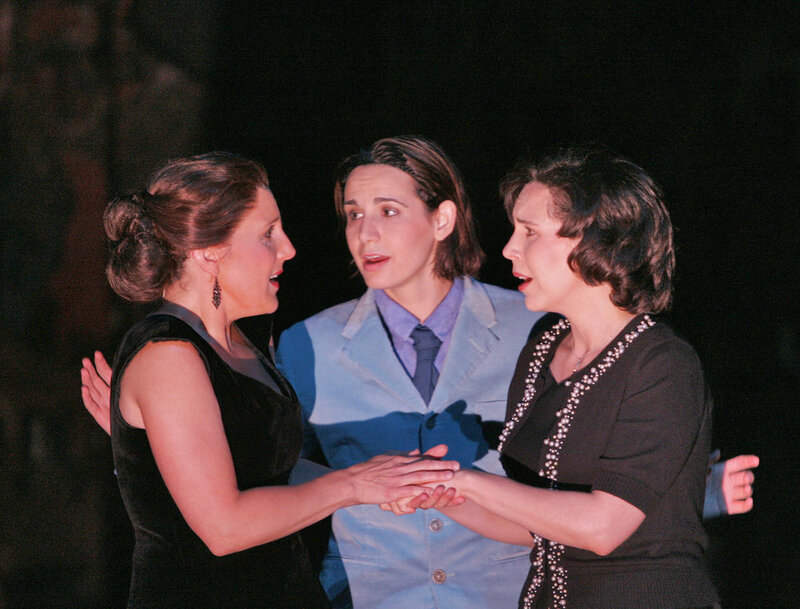 Photos from the Santa Fe Opera production, 2005.